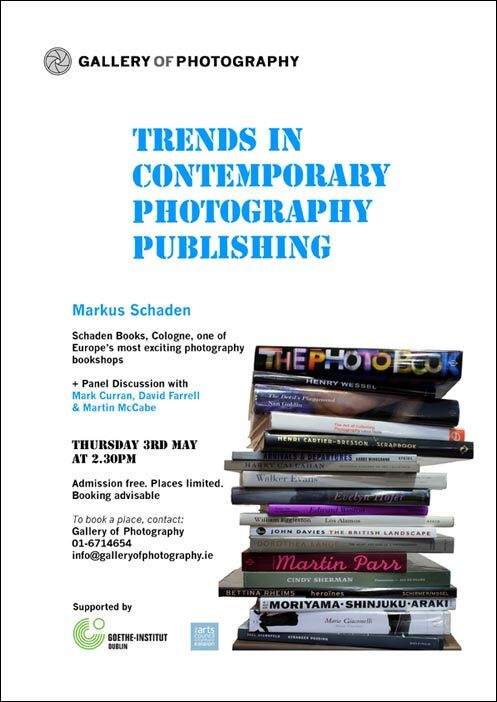 Mark Schaden from Schaden books, will head the discussion next Thursday 3rd of May on “Trends in Contemporary Photography Publishing” at the Gallery of Photography (Meeting House Square, Dublin). 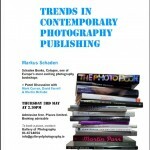 The panel includes Mark Curran (photographer), David Farrell (artist) and Martin McCabe (lecturer in the DIT School of Media and curator). Admission is free if you contact the gallery to book your space at 01-6714654 or contacting them through the site.